CoJoMotion is a Dance Company for the most serious and dedicated of dancers. Its purpose is to provide a variety of performance opportunities to these dancers, while benefiting both our community and philanthropic causes. Dancers are chosen not by audition but rather by invitation only, based on a list of prerequisites that need to be met: involving genres being studied, levels of each genre, # of classes taken per week, age, and technical and performance levels, as well as the number of available openings. While we want our dancers to be strong and our performances to be polished, we certainly aim to teach more than that in this process- hard work, dedication, appreciation and respect – respect for our fellow dancers, for strong technique, for the art of dance, and for using our God-given gifts to benefit others. Our signature event, “A Season For Wishes“, is an annual holiday show in which all proceeds go to the Make-A-Wish Foundation of Philadelphia, Northern Delaware & Susquehanna Valley. The show is a wonderful start to the holiday season, featuring tap, jazz, modern, lyrical, ballet and musical theater dances all set to those beloved sounds of the season. Local singers and musicians add to this spectacular evening, as well as a magnificent raffle, silent suction and bake sale presented by the CoJoMotion parents. In 2015, we raised more than $40,000, and during the past eleven shows, CoJoMotion has raised over $210,000.00 for Make-A-Wish®, directly benefiting local children and their families. We are also the 2nd largest contributor from Lancaster County next to the Mothers Day Truck Convoy. The Lititz Academy of Dance was named Make-A-Wish’s Benefactor of the Year for 2010. In addition to “A Season for Wishes”, other CoJoMotion performances include HersheyPark, Jason’s Woods, Manheim Township Community Days, East Petersburg Days, MT Football Game Half-Time Show, Millersville Dance Marathon for the Childrens’ Miracle Network, Mt. Gretna Art Show, John Beck Fine Arts Day, Warwick High School Make-A-Wish Event, Penn Cinema Flash Mob, CoJoMotion Showcase, “A Chance to Dance”, Warwick High School Mini-Thon, Lancaster Catholic Mini-Thon, Reidenbaugh Family Fun Festival, The Masonic Home, ODC Dance Festival, Bomberger’s Ladies’ Night, and East Petersburg Days. CoJoMotion dancers enjoy our semi-annual trips to NYC to study at Broadway Dance Center and to see performances on Broadway and at Radio City Music Hall. 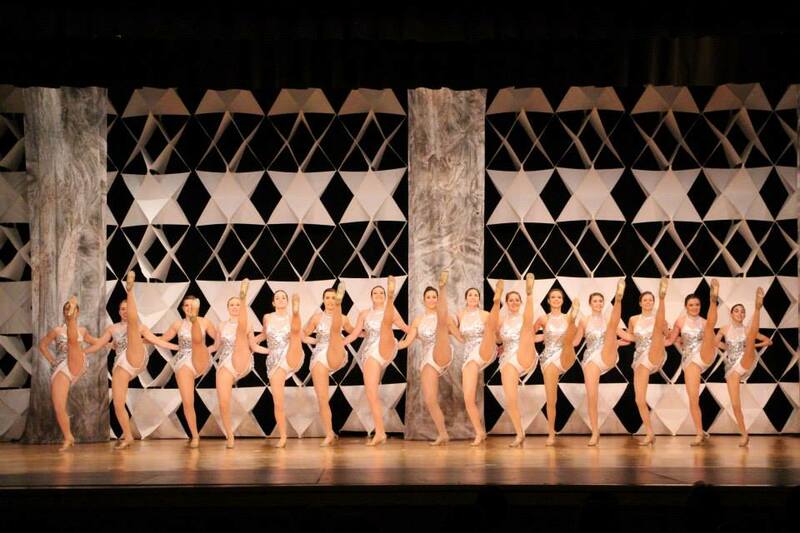 Our dancers attended “the Rockette Experience,” where they were taught original Rockette choreography and learned it in their very own rehearsal hall from an actual Rockette, as well as participated in a mock audition. We also bring Master Teachers to our studio to work with the Company: Steps’ Jay-T; Broadway Dance Center’s Jeff Amsden; the Koresh Center’s Tyger-B, along with colleagues Allison Sale and Ron Wood; Vermont Chamber Ballet Company Artistic Director Sherry Adams; NYC teacher / choreographer Joel Hodgin; Radio City Rockette / dance Captain Melinda Farrell; NYC Choreographer / Master Teacher Tony Bradford and Lisa’s former student, tremendous tapper and musical veteran Shaun Moe.